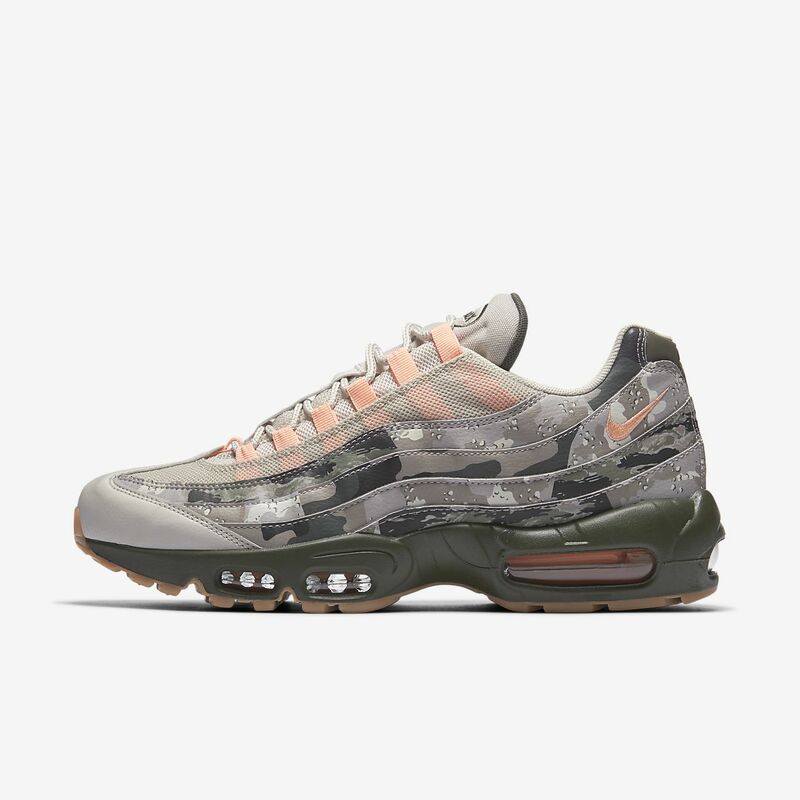 A running-inspired classic, the Nike Air Max 95 Essential Camo Men's Shoe blends a mesh upper with synthetic and leather overlays for an iconic look. A Max Air unit gives you lightweight cushioning with every step. A running-inspired classic, the Nike Air Max 95 Essential Camo Men&apos;s Shoe blends a mesh upper with synthetic and leather overlays for an iconic look. A Max Air unit gives you lightweight cushioning with every step. I would definitely recommend this product. The camo design looks great. Got many compliments off these. They also look slightly more slimmer than other Air Max 95 designs, which is a plus. Of course, like all other Air Max 95s, longer wears throughout the day can get pretty uncomfortable and tire your feet, but for short walks or hang-outs they're great. Overall, great fit and cool look. I hope they restock in these!